In the past couple weeks, the Quirky Mommas have had a blast with their kids doing a bunch of Thanksgiving Activities with our kids. We have encouraged them to Be Thankful, with the help of a gratitude jar. We featured some fun foods to add some fun to your thanksgiving celebration dinner and there are tons of Thanksgiving printables and coloring pages to entertain your kids while you are preparing the meal. Today we have a quiet book – great for a nap-time activity or for the car ride on the way to Grandma’s house. Are you going over the river or through the woods when you travel for Thanksgiving? Over and through are great spatial terms you could work with your preschooler on during the holiday. Other prepositions like under, through, below, above, beside, after and before are great to introduce or review during Thanksgiving travels too. 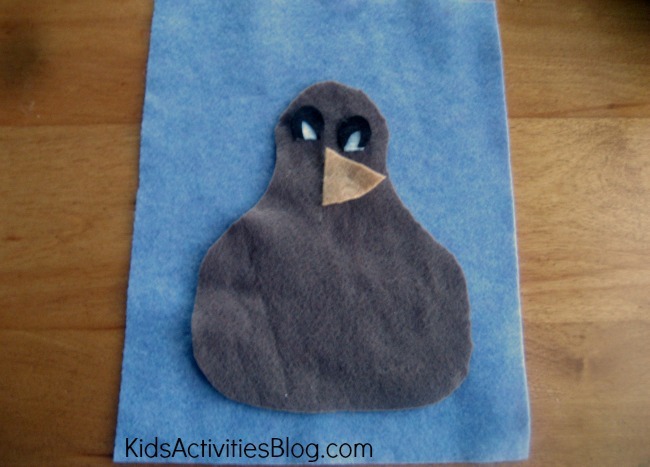 My son and I created a fun turkey activity to work on spatial concepts using felt. 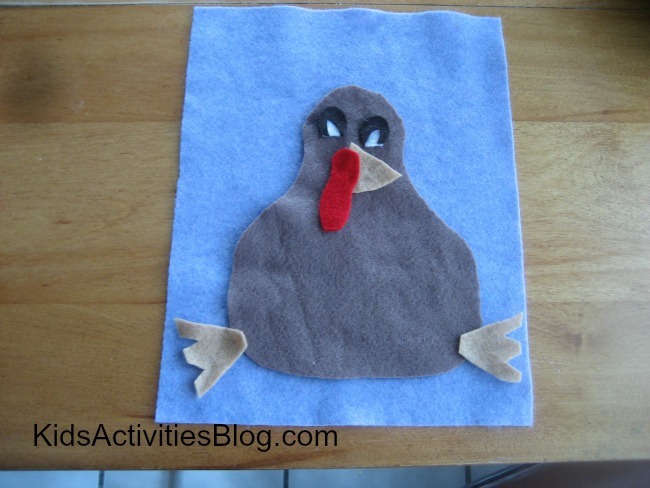 We simply cut out a turkey’s body, feet, beak, waddle, eyes, and feathers out of felt and we were ready to play. Let me walk you through the steps we went through to play the activity. 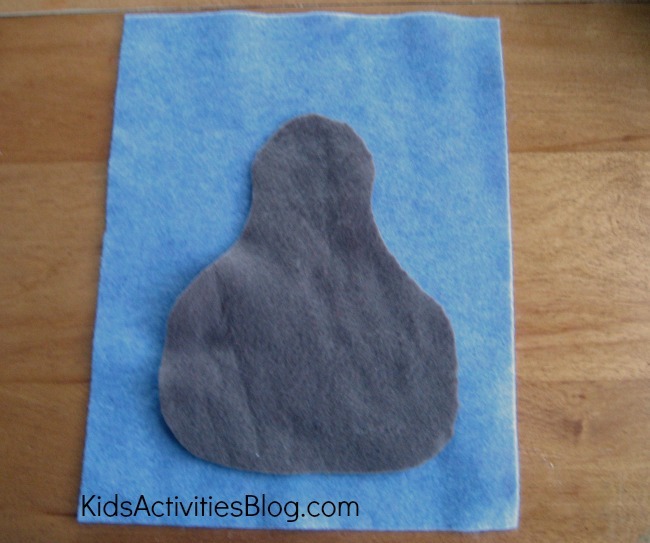 When you play this activity at your house, I hope you have as much fun as we did. 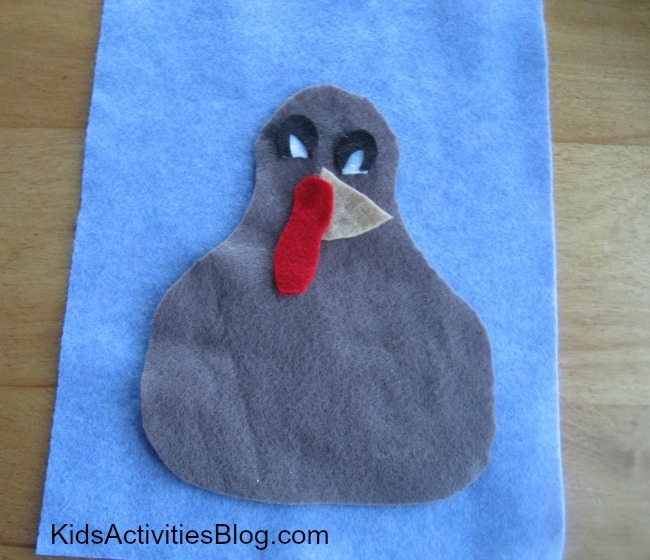 We started by putting the body of the turkey on top of a felt square. Then we put the beak in middle of his neck. I asked my son to have his beak pointing to the right. I told him that the eyes needed to go above the beak. We talked about whether they should go facing up, down or to the side. My son decided that they needed to face down. The turkey’s waddle was to go beside the turkey’s beak. Beside was tricky because beside can mean to the right or to the left of the beak. My son pointed out that the waddle couldn’t go in the front of the beak. It would be in the turkey’s way when he tried to eat. The turkey’s feet went before and after his body. I told my son the turkey was sitting down. He thought the turkey really should be standing up and running so, we changed the location of the turkey’s feet. The feathers were added on last. We placed narrow feathers on top of the wide ones before starting. The large red feathers were placed so we could see them above his eyes. ( Did you notice that his eyes turned to look at them?) Outside of the red feathers we placed the green feathers. The narrow white feathers on green felt were place inside of the green feathers with narrow red ones on them. I think we will be talking turkey over and over again! We really had fun with this activity. 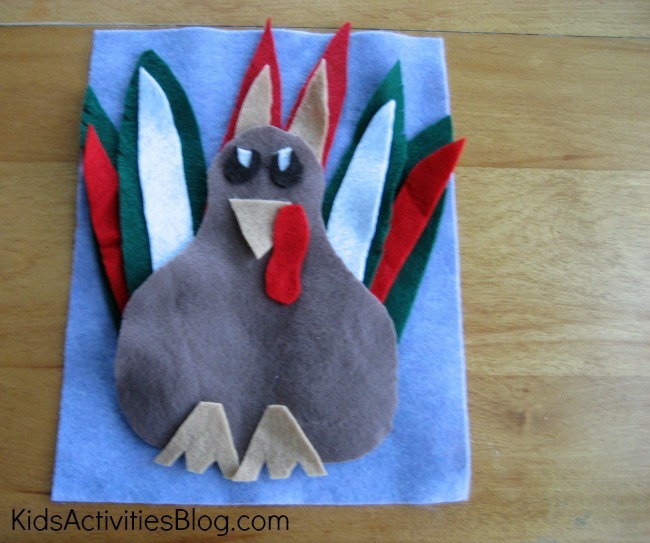 Did your kids have a favorite craft this Thanksgiving? I’d love to hear about it – leave a link if you did a blog post featuring your craft. Previous Post: « Toys R Us BOGO Half Off Cyber Sale Through November 21st! You could be my take in , I have couple of web records of activity and rarely expired from to brand.